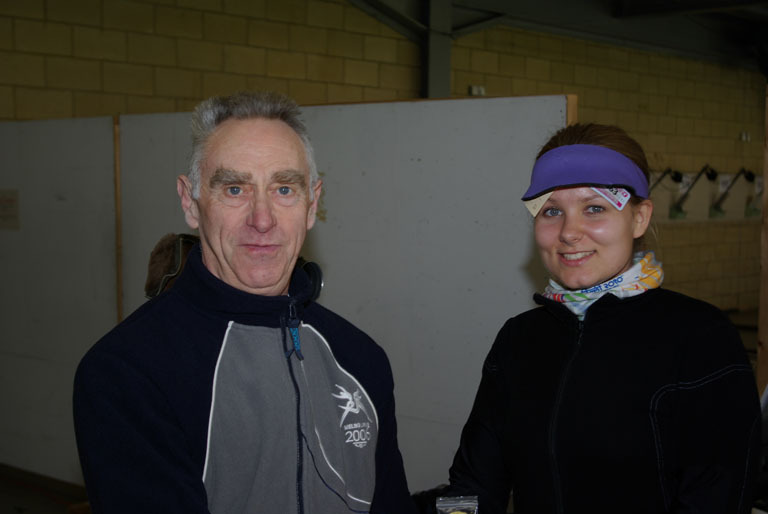 The BFRC 50 Metre Open Meeting was held on the Malcolm Cooper Range in Lord Roberts Centre, Bisley on 16th & 17th of April 2011. The entries for the prone matches were oversubscribed & I had to close the entries for EM 1 some days before the official closing date. 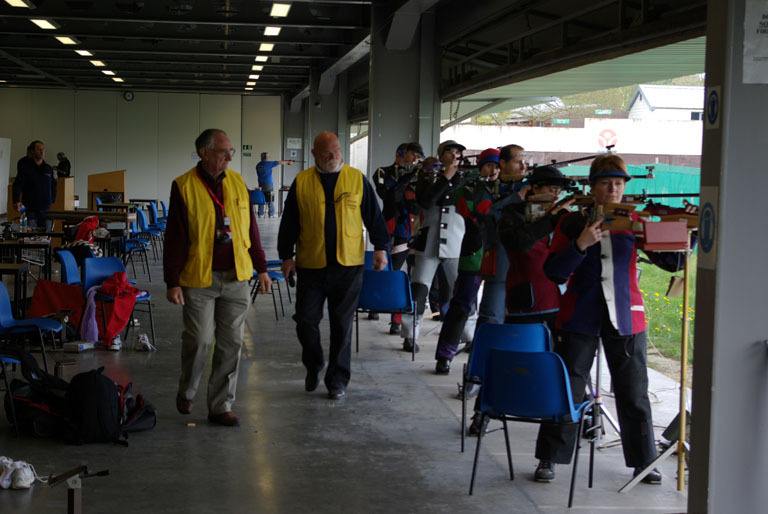 The number of lanes available to us on both days was restricted because we had to share the use of the range with another user so unlike previous years could not take more entries. I was hoping for reasonable weather as cold &/or windy conditions are no fun for the organiser or the shooters @ any meeting. Due to the meeting being held in late April we are unlikely to ever experience very warm temperatures but this year we were very fortunate in that the light was good, the wind almost non-existent & temperatures were as good as we could reasonably expect. English Match 1 had 41entries. The best qualification score was 595 by Tom Brunning using his new rifle, a Bleiker action in a HPS Ultra stock. Dan Rivers with 594 was second closely followed by Austin Wilshire with 593. There were 3 scores of 592 which made 6 places decided for the final but as there were 4 scores of 590 a shoot off was required to select the remaining 2 places for the Olympic final. As it happened of these 4 shooters the 2 with the lowest number of centre 10’s gained places in the final. The finals were run according to the new ISSF rules for finals which allow 8 minutes for preparation & sighting shots followed by a break when the finalists are announced to the spectators. 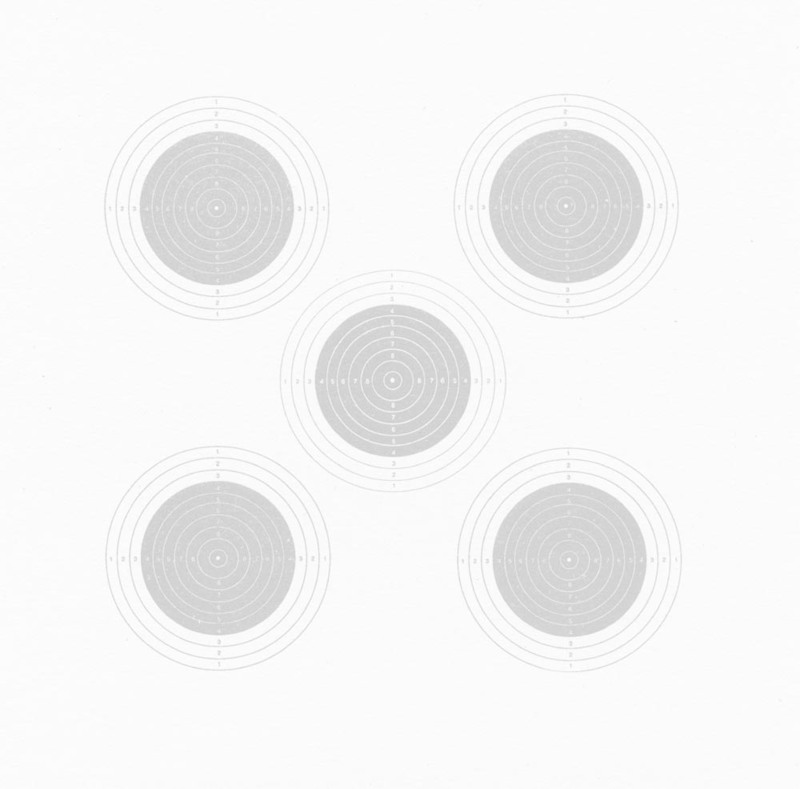 Another 2 minutes of sighting shots is allowed followed by a shot by shot final of 10 shots. Tom kept his 1st place intact with a final score of 101.7 & a total of 696.7 but a good final score of 103.1 by both Nick Clark & Mark Girling saw them finish with identical scores of 695.1 so a shoot off for 2nd place was required. Mark shot a 10.2 against Nick’s 9.7 so the top 3 places were decided. English Match 2 also had 41 entries & this time there was a different top scorer. 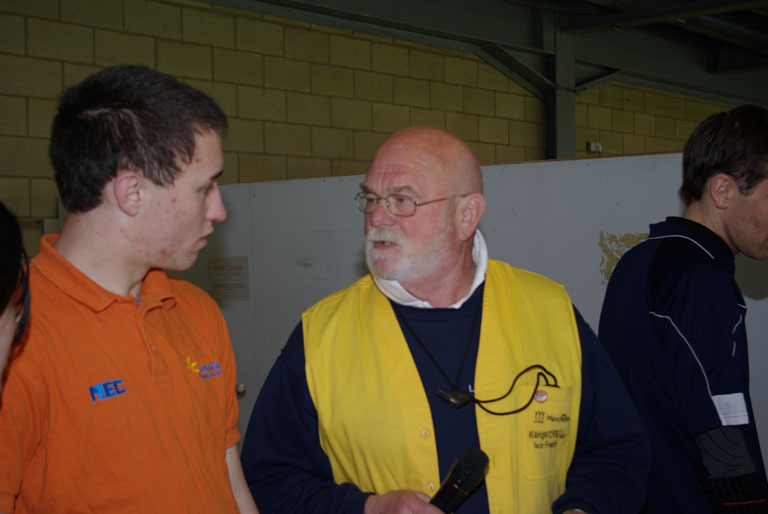 Mark Szymankiewicz, who was 7th in the final of EM1 was top score with 593, Matt Skelhon, who was the Gold Medal winner of the 10 m air rifle prone match in the Beijing Paralympic Games & recently taking up the cartridge event was 2nd with 592, followed by Neil Day on 591. Two scores of 590 & 1 of 589 saw 6 of the final placings decided with a shoot-off between 3 scores of 588 necessary for the remaining 2 places. The final for EM 2 is a knock-out style final where after the 1st 2 shots the lowest score shot on the 3rd shot eliminates that shooter. Any ties of equal lowest scores are resolved by a shoot off & the final continues until the winner is decided between the last 2 remaining shooters. Unconventional yes but very exciting to watch & I’m told equally exciting to compete in. The winner was Mark Girling who had to shoot off for a place in the final; he prevented a double final win by Tom Brunning by shooting 10.6 on his last shot against 9.5 by Tom. 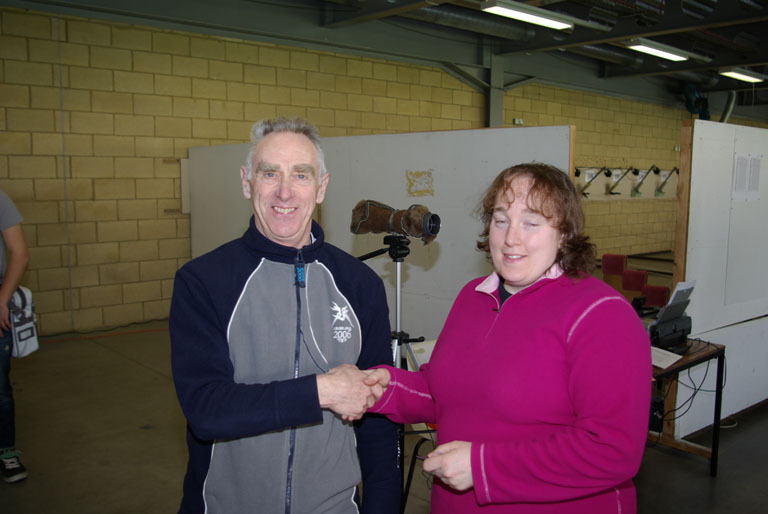 A 60 shot air rifle match was held later on Saturday afternoon where we had 11 entries. Kenny Parr repeated his win of last year with a score of 590. 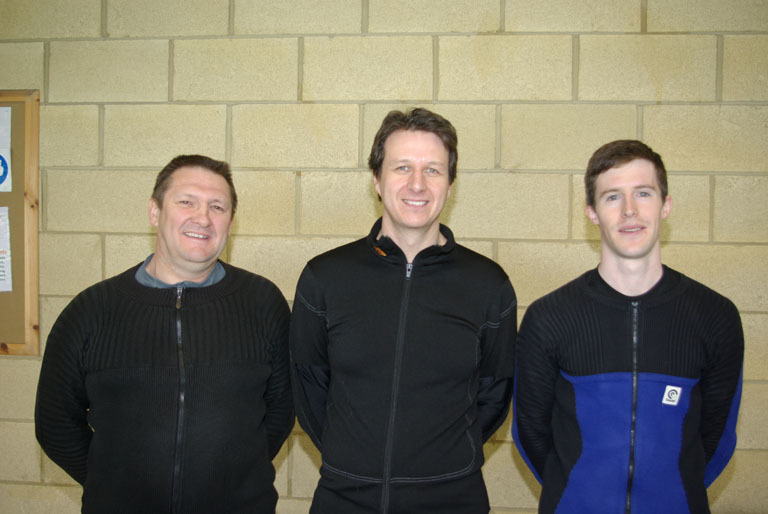 Ross Shears was 2nd with 584 & 3rd was James Patterson. Sunday morning saw our normal set-up with a 3x40 match with 17 entrants running concurrently with a 3x20 with 9 entries for the women. 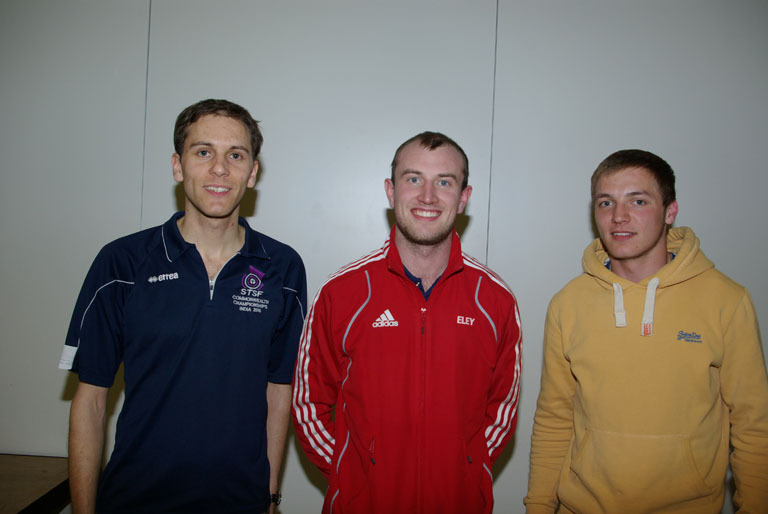 Top score in the 3x40 was by Kenny Parr with 1148, closely followed by Dan Rivers on 1144. James Patterson was 3rd with 1127. The winner of B class was Ross Shears on 1117. Luke Flack won Class C with a score of 1078. 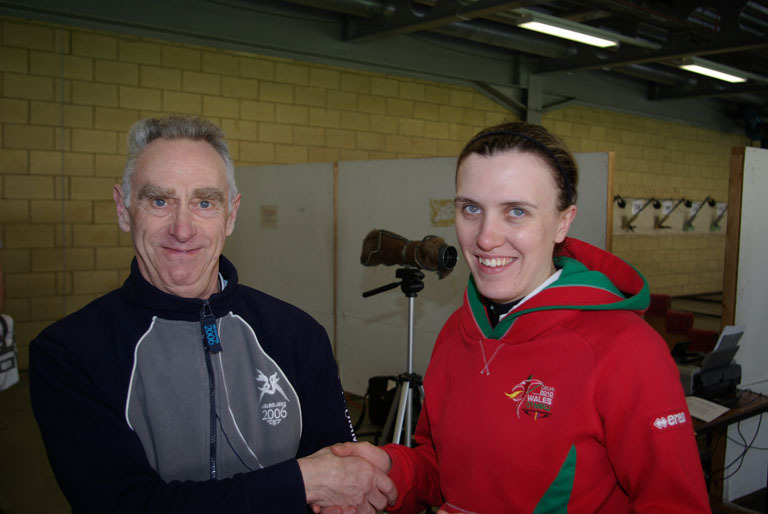 The winner of the women’s 3x20 sport rifle match was Sheree Cox by a convincing margin of 11 points with her score of 573 against 562 shot by Sian Corish. Third place score was by Sharon Lee with 559. To decide the top shooter of the day we held an Olympic final taking the top 8 scores from the 1st 20 shots aggregate from the 3x40 & 3x20 matches with a prize for the top final score. The final is decided on the highest total of the 10 shots fired in the standing final. Dan Rivers went into the final with 575 points followed by Kenny Parr with 574 & Sheree Cox on 573. The best final score was by Dan Rivers with 95.7, 2nd was Sharon Lee, 94.1, 3rd was Duncan Farmer 93.7. The BFRC is indebted to all those who helped to run the range over the 2 days. Particular mention goes to Ivor French who was Chief Range Officer on the Malcolm Cooper Range, he was ably assisted by a number of other range officers who used the meeting to gain experience for their future use. For me as organiser that makes life easier as I can concentrate on other things such as results as against being a range officer as well as doing the stats! Similar thanks also to Dave Poxon who, once again was a great help in helping in producing the results quickly. Dave has agreed to be the organiser of next year’s meeting as I this has been my last one in that role. Well done to everybody for your co-operation during the matches and for leaving the range in a virtually immaculate condition. My thanks to all those shooters who have participated in the meetings over the last 20 years I have been involved with it, at times it has been hard work but I cannot remember any meeting I have not enjoyed !